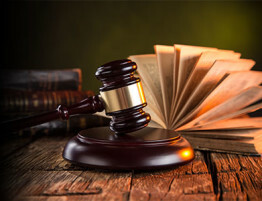 When a divorce occurs, all financial assets are disclosed and divided depending on the circumstances behind the assets and the judge’s decision if the couple decides to get a judge involved. The assets are not the only financial matter that needs to be worked out in a divorce, any debt must also be disclosed and divided accordingly. People may have debt in many forms including a car payment, mortgage, credit card debt, and student loan to name a few. In a marriage, any debt that results from a shared credit card or joint account is generally considered the responsibility of both spouses equally while pre-existing debt brought into the marriage is still normally considered the responsibility of the spouse. Any shared debt must be divided in a divorce proceeding and if the divorcing couple has children, this could complicate the process further. This is why it helps to hire an experienced divorce attorney to sort through financial matters including debt. If the debt is unfairly divided, it can leave a stain on your financial situation that will take years to get over. The following guide will help you understand how debt is divided in a divorce and what to expect if you are going through a divorce in which there is shared debt involved. Debt is treated like any other financial aspect in a divorce, as something that needs to be divided. The exact ways that debt is handled during a divorce is affected by whether you live in a community property state or equitable distribution state. There are several states, known as community property states, in which the shared debt acquired during the marriage is considered the responsibility of both spouses. In these states which include California and Washington, the debt can be divided in half which makes each spouse responsible for repaying 50 percent of the total. This may seem fair on the surface but dividing the debt in half could be unfair to one spouse under certain circumstances. If your spouse makes a major purchase on a shared credit card without your knowledge, you may end up responsible for half the debt. It is even possible for the debt from separate credit cards to be split up evenly. This means that if your spouse runs up a debt on a credit card that is entirely in their name, you could still be expected to pay half the amount owed. In states with equitable distribution laws, debt is classified as “marital” debt and “separate” debt. Marital debt is generally divided between the spouses while separate debt is considered the responsibility of the spouse who accrued the debt. In the state of Illinois, marital debt is defined as debt incurred during the marriage, but before the date the spouses separate. While debt accrued by one spouse under their own name is generally considered separate debt, there are instances in which this may not be the case, like if a mutual purchase was made on the credit card of one spouse. In these instances, the court will determine who benefitted from the purchase and divide the debt accordingly. The goal of equitable distribution is to divide the marital debt fairly to the spouse directly responsible for the debt. 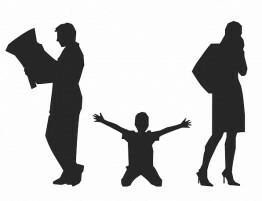 The court will consider several factors when determining how to divide the debt including who accrued the debt, who benefitted most from the purchase that resulted in debt, the length of the marriage, the needs of each spouse, and other awards involved in the divorce including spousal support and child custody. The best way to protect yourself from being held responsible for your spouse’s debt is to fully disclose all financial matters. You must uncover all potential debt between you and your spouse, even debt that is not in your name. Make a record of any relevant details such as account numbers, the amount of debt owed, who debts are owed to, and who is responsible for the specific debts. 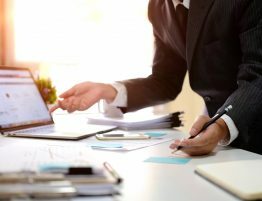 A reputable divorce attorney can help you uncover any debt between you and your spouse that could be at play in the divorce. Any type of debt that you have during your marriage will not be changed at all by the ending of your marriage. This means that the terms and payments of mortgages, car loans, and shared credit cards will stay the same after a divorce. In the eyes of these third parties, whoever signed for the debt is responsible for fulfilling the terms of the agreement, including payments. In equitable distribution states like Illinois, the courts may divide the debt in a number of ways, sometimes asking a spouse to cover one debt themselves or at least contribute in part to a particular debt. If a debt remains in your name and your spouse is ordered to help pay it off but they don’t pay their share, you could be subject to creditors and possibly legal action. These consequences can negatively affect your financial situation and your credit score. You can help protect yourself from shared debts by refinancing the loans. You may be able to shield yourself from accruing your spouse’s debt by having your name removed from the loans when you refinance them. For example, if your spouse’s car was purchased under both names, you can have the car loan refinanced so that it is under only your spouse’s name. The car loan will then be more likely to be considered separate property in the debt division. You can work the terms of the refinancing of shared loans into the divorce settlement. After the divorce is final, you must pay for any debt that is deemed your responsibility. As the division of the debt is decided, other financial obligations such as court costs, attorney fees and others will be considered. 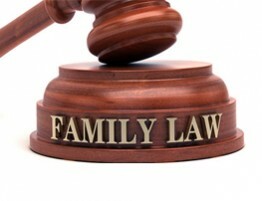 If divorcing couples have children, child support will also be considered, along with the cost of care and education. It is possible for spousal support to come into play as well and the costs a spouse may experience after the divorce including moving costs, changes in health insurance, and bills. When going through a divorce, it helps to have a professional divorce lawyer on your side that can navigate the division of financial assets including debt. Our attorneys at Allen Gabe Law, P.C. will help you get your financial assets and your debt in order and protect you from assuming the debt of your spouse. 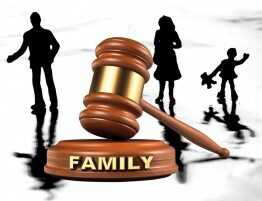 You can trust our attorneys to work aggressively to ensure a fair and favorable outcome. You can contact Allen Gabe Law, P.C. by calling (847) 241-5000 and talk to our family law attorneys about your case.